Southern California Institute of Architecture (SCI-Arc) hosted controversial philosopher Slavoj Žižek last week during the most recent installment of the university’s Duel + Duets speakers’ series. 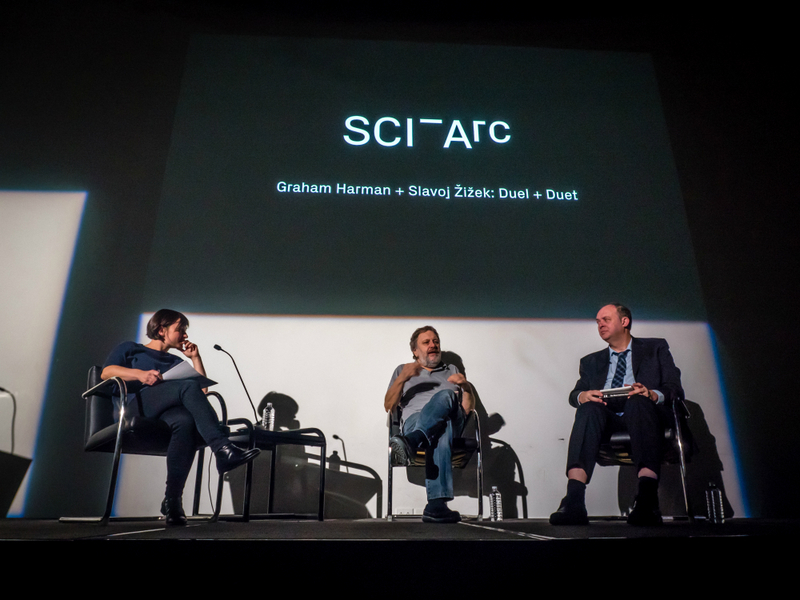 The event—moderated by Anna Neimark, SCI-Arc faculty and principal at architecture firm First Office —took the form of an extended debate between Žižek and Distinguished Professor of Philosophy at SCI-Arc, Graham Harman. Debate strayed across the philosophical spectrum and included a full-throated explanation by Harman of the Object-Oriented Ontology (OOO) theory. Of course, Žižek issued an extended, hilarious rebuttal. Žižek, who controversially supported Donald Trump during the 2016 election, commented on the current political situation in the United States, calling Trump an “assemblage” of cultural and political currents. Despite the setting, the conversation stayed largely away from architectural matters except in the most abstract terms, including a reference to the architectural symbolism of Alfred Hitchcock’s Psycho. Harman argued that at this unstable political moment, architects should make a turn toward formalism. Ultimately, the trio duked it out for nearly two hours, including an extended back-and-forth with the audience. SCI-Arc has posted a recording of the entire talk to its Facebook page.